Matt Greenwood of Bell Tea gave a most informative and entertaining talk in Auckland entitled “everything you ever wanted to know about tea”, and it was enough to attract over 40 keen people to an evening seminar at Auckland University. Despite coffee’s ever growing popularity, tea (both black and green) is enjoying a renaissance. More and more health and wellness papers are being published on the benefits of tea consumption. An ever increasing majority of soft retail table spreads in Australasia are now trans-free. If trans-fats are eliminated from yellow-fat spreads, then the normal standard procedure is to replace them with interesterified mixtures of palm stearine and a hydrogenated lauric oil such as coconut or palm – kernel oil. This author’s attention was recently drawn by a number of our readers, to a recent article by Sundram et al, showing that stearic-acid-rich interesterified fats raise the LDL/HDL cholesterol ratio and also elevate plasma glucose level relative to palm olein (45% saturated) as a control. Fortunately most “hardstocks” in Australasia are not stearic-acid rich but are mixtures of predominantly C16:0, C12:0 and lower molecular weight saturated fatty acids. However to this author’s knowledge no full clinical trials have been carried out on zero trans spreads containing these fatty acids. Also for clarification, the current controversy over banning trans fats is concerning industrially produced products by chemical hydrogenation – not natural trans fats produced by ruminants in meat or dairy fats. N.B. A recent publication “Trans Fat Reduction” is currently selling for 30,000 euros – published by LMC International Ltd. The group has encountered some minor delays in finalising the content (due to authors’ contributions) for the announced book on edible oils in Australasia. We now anticipate launch sometime in late July/August at a retail price under 100 dollars. 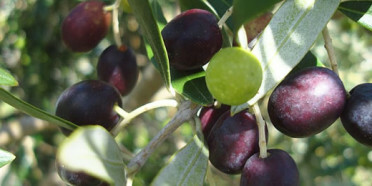 Olives NZ are running this 3-day course at Suminovich Olives Ltd Estate (Bombay) from April 13th – 15th. The course was oversubscribed and there are no places left. The course is sponsored by Pieralsi of Italy who are providing processing specialists together with local specialists in various fields. Production and processing of oils and fats from renewable resources. This will be held in Munich November 20-22, 2007. A well known figure in lipid nutrition and a past speaker at several major New Zealand based conferences, David Kritchevsky has died aged 86. He was a co-author on the first book on cholesterol in 1958 and on beta-sitosterol in 1981. Closer to home we were all saddened by the recent sudden death of Jean-Pierre. He was a good friend personally and was a supporter of the group with some excellent lipid work originating from Otago over the years. Our deepest sympathies go to the family and the department who are devastated by his passing. Royal DSM N.V. announced that they had purchased the company Lipid Technologies Provider AB (LTP) a Swedish company with a technology platform based on formulated lipids from palm and oat specialty lipids. The original product was called “Olibra” but is now called “Fabuless”. It is reported to be a revolutionary weight management system utilising novel lipid ingredients to help in providing satiety. A retail product “Slim-Shots” being a 7.5 ml. serving of an emulsion containing the special lipids was launched on the NZ market on March 21s t by Gelven Ltd.
See European Journal of Clinical Nutrition (2002) 56, 368-377 by M.B.E Livingstone et al. We made a couple of unfortunate errors in the last edition. Firstly the product is in a single pack in an attractive sleeve and its made in New Zealand although the back label has a prominent box saying the oil is produced in Thailand. The spread itself is a pleasant soft spread with excellent salt release and low melting texture. It has a fatty acid composition of 23% saturates, zero trans, 32% monounsaturated and 25% polyunsaturated.